If you had asked me back in 2008 who I thought would be leading the SSD industry in 2013 I would’ve said Intel, Western Digital and Seagate. Intel because of its commanding early lead in the market, and WD/Seagate because as the leaders in hard drives they couldn’t afford to be absent from the long term transition to SSDs. The days of having to explain why SSDs are better than mechanical drives are thankfully well behind us, now it’s just a question of predicting the inevitable. I figured that the hard drive vendors would see the same future and quickly try to establish a foothold in the SSD market. It turns out I’m really bad at predicting things. Like most converging markets (in this case, storage + NAND), the SSD industry hasn’t been dominated by players in the market that came before it. Instead, SSDs attracted newcomers to the client/enterprise storage business. Not unlike DRAM, owning a NAND foundry has its benefits when building a profitable SSD business. It’s no surprise that Intel, Micron and Samsung are some of the more frequently discussed SSD vendors - all of them own (either partially or fully) NAND foundries. 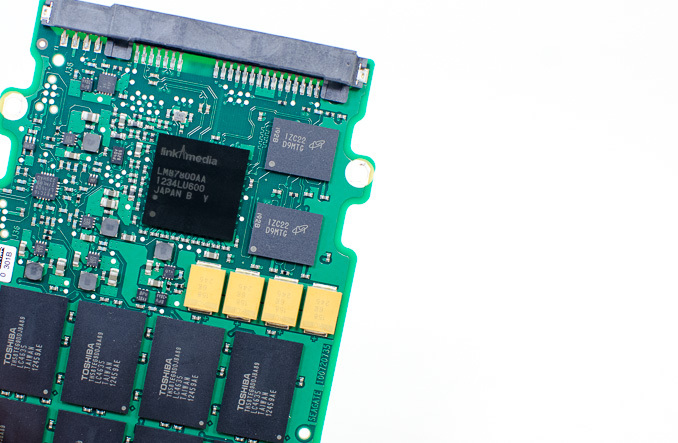 Whether or not ownership in a foundry will be a requirement for building a sustainable SSD business is still unclear, but until that question gets answered there’s room for everyone to play in the quickly growing SSD market. This year, Seagate re-enters the SSD market with a serious portfolio. Today it not only announces two 2.5” SATA drives, including its first client-focused SSD, but also a 2.5” SAS product and a PCIe SSD solution. The products that we’re focusing on today are the two 2.5” SATA drives: Seagate’s 600 and 600 Pro. The 600 and 600 Pro are both based on Link A Media Device’s LM87800 controller. The LAMD controller is the same as the one used in Corsair’s Neutron and Neutron GTX. 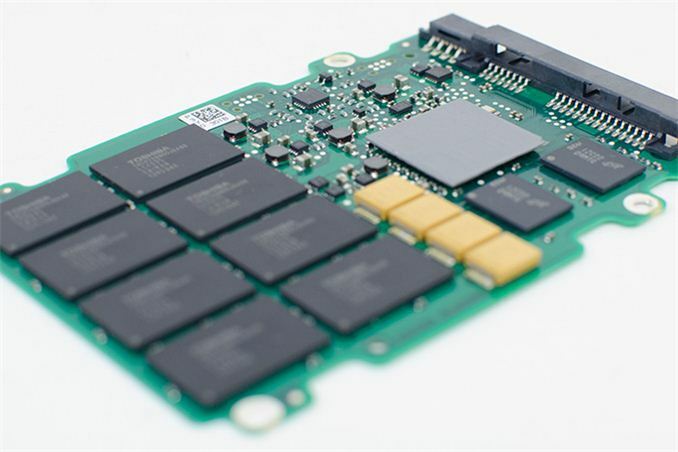 Previous Seagate SSDs actually used a two-chip solution, with Seagate’s custom silicon controlling the host interface while Link A Media provided a NAND interface chip. The LM87800 is apparently a single chip integration of the earlier Seagate designs. The controller uses the drive chassis for cooling, with a thermal pad acting as an interface layer. The firmware on the 600/600 Pro is unique to Seagate. It’s unclear whether or not Seagate has access to firmware source, but the solution is definitely custom (as you’ll see from the performance/consistency results). The LM87800 doesn't use any data de-duplication/compression and allegedly uses a DSP-like architecture. The controller is paired with two DDR2-800 devices, with roughly 1MB of DRAM per GB of NAND storage. The high ratio of DRAM to NAND is common in drives with flat indirection tablets as we’ve come to notice. It’s a more costly (and potentially more power hungry) design decision, but one that can have tangible benefits as far as performance consistency is concerned. The LM87800 controller is a bit dated by modern standards, especially if we look at what is possible with Crucial’s M500. There’s no hardware encryption support and obviously no eDrive certification. Despite launching in 2013, the 600/600 Pro feature a controller that is distinctly 2012. Admittedly, that seems to be the case with most SSD makers these days. Everyone seems to be waiting for the transition to SATA Express before launching truly new controller designs. Seagate has deals in place to secure NAND supply from both Samsung and Toshiba, although all of the 600 series will show up with 19nm Toshiba 2-bit-per-cell MLC NAND. The LM87800 controller features 8 NAND channels, and can access even more NAND die in parallel through interleaving. I wonder if the main HD manufacturers here were doing a bit of "American auto industry" thinking. Like "We sold all the gas guzzlers we could make before, how are we supposed to know the general population is going to want cars that get better gas mileage?" Chrysler and GM had to be bailed out twice for that kind of thinking. While WD and Seagate lack the SSD expertise, they have the distribution channels and resources. Hynix is a good example of a company that has all the expertise they need to develop a competitive SSD but their distribution channel is lacking. Seagate, on the other hand, operates globally and can reach billions of potential buyers in a short period of time. Even if you have a good product, it's fairly meaningless if it can't reach most of the market. Hynix actually makes SSDs but they are doing absolutely nothing to market them and I bet they don't have many distributors in the US or other Western countries (NewEgg sells their SSDs but I haven't seen them elsewhere). 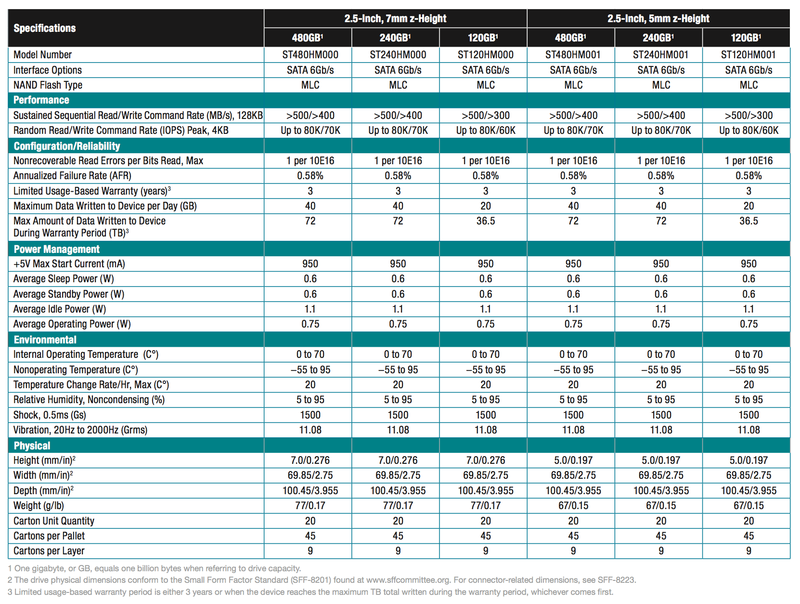 Seagate also has tons of capital to invest on the SSD market. Like in the case of this SSD, they didn't just go with stock SandForce but chose LAMD and invested on specializing the firmware. On top of that, I'm pretty sure Seagate has fairly big NAND deals with Toshiba and Samsung to ensure a steady supply of NAND, which requires capital. There have already been NAND shortages in the market and this year it will get even tougher - Seagate has an advantage because they can buy a ton of NAND whereas smaller players lack the capital for that (and the bigger client you are, the more important you are for the company so big clients are prioritized when there's a shortage).